The Classic series of pen kits reflect the distinctive style of pens made during America's golden age... Enjoy fine handling, effortless writing and classic style everyday with the Classic Series of pen kits. The classic pen series will remind you how enjoyable writing can be. CLASSIC PEN BUSHING - 10mm - Use for Classic and Classic Elite Fountain Pen or Roller Ball Pen kits. 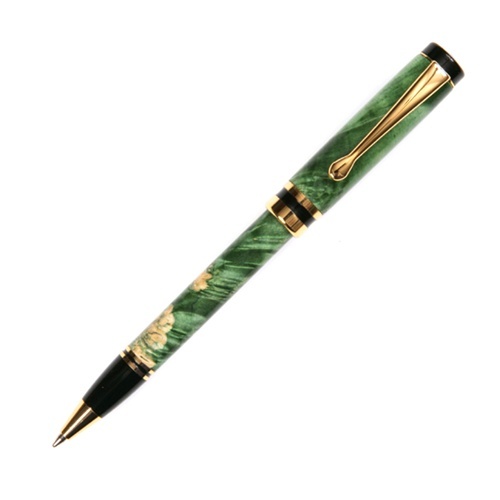 The combination of Chrome plating and black accent bands lend a rich, traditional look to this popular pen. Accepts standard Parker® style refills. 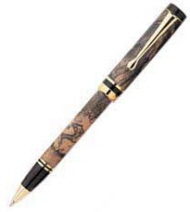 The combination of 24k gold plating and black accent bands lend a rich, traditional look to this popular pen. Accepts standard Parker® style refills.